Solazyme Inc., a company founded 12 years ago to make car and truck fuel from algae, is vigorously pushing a new product. But this time, it is fuel for the body: cooking oil, based on algae, marketed as healthful for you and the planet. Solazyme is one of an array of companies whose initial mission of making alternative fuel has been undercut by cheap oil and regulatory delays. So San Francisco-based Solazyme and fellow biofuel firms are doing what any company might—shifting to something more profitable. An assortment of bioproducts with high profit margins—antiaging lotions and ice cream made of algae, for example, and household cleaners and perfumes based on yeast—are proliferating as biofuels flounder. 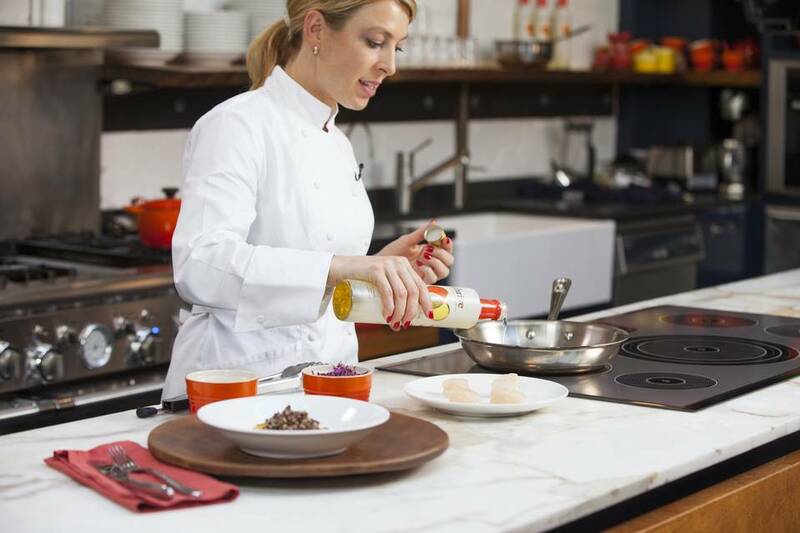 Solazyme in October launched Thrive, “a breakthrough culinary algae oil for consumers in terms of healthy cooking, taste and usability,” as Chief Executive Jonathan Wolfson recently described it to investors. The algae, he said, helps give the oil “a light, clean taste.” The oil is priced at $11.99 for 16.9 ounces. Beneath the marketing, the products’ proliferation reflects how an idealistic government policy is falling short in the face of market forces. It highlights how the push for biofuels, launched with high hopes a decade ago, has failed to meet expectations, forcing companies, government and activists to adjust. That reality was starkly underlined recently. U.S. officials, in Paris for a summit on climate change earlier this month, barely mentioned the role biofuels could fill in the world’s future energy landscape. Corn-based ethanol is the most common alternative transportation fuel and a favorite in corn-rich states like Iowa. But a growing number of critics say it should no longer receive government support, arguing that it raises food prices without mitigating climate change. That leaves non-corn biofuels, made from such materials as algae, yeast or grass, on which Washington has placed big bets. The government in 2005 mandated specific levels of biofuels in the fuel supply, significantly expanding that mandate in 2007. Back then, the U.S. imported two-thirds of its oil; today, thanks to fuel efficiency and a domestic oil boom, it imports only a third and consumes far less gasoline. 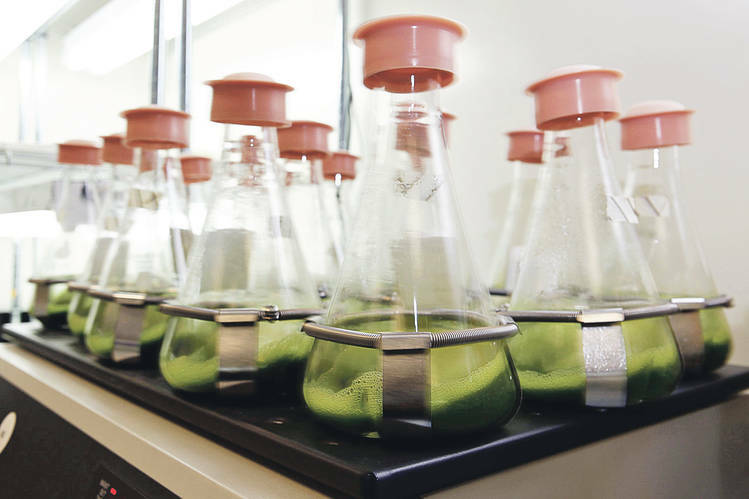 Already facing challenges of ramping up technology, those economic changes of the past decade have put the squeeze on biofuel companies, which are playing up their new algae- and yeast-based products as natural and healthful consumer products. Amyris Inc., a California-based biotech company, provides oils extracted from yeast for some 400 fragrance and cosmetics brands, including L’Occitane en Provence, Elizabeth Arden Inc. and Clarins. Amyris launched its first direct-to-consumer product earlier this year, a yeast-derived face moisturizer called Biossance. The moisturizer, which Amyris boasts is “100% plant-derived,” costs $58 per 1.7-ounce bottle. President Barack Obama’s administration has struggled to enforce the biofuels mandate, compounding the economic and technological challenges facing the industry. The Environmental Protection Agency, following a long internal debate, was two years behind in announcing annual biofuel quotas for refineries, with the result that the EPA on Nov. 30 announced thequotas for 2014, as well as 2015 and 2016. All this uncertainty has pummeled companies founded in the glow of the biofuel promise. The stock of Solazyme has dropped more than 75% since March 2014, from $14.38 a share to under $3 by December. Membership in the Advanced Biofuels Association, which represents companies making non-corn biofuels, has fallen by one-third in recent years, as companies go bankrupt or shift to other products, according to Michael McAdams, the association’s president. The Obama administration, trying to stoke the process, has provided millions in grants and loan guarantees to biofuels companies. But much of that hasn’t panned out. In 2009, Solazyme, for example, received more than $20 million in grants to help build a biorefinery; today, the facility’s primary output isn’t biofuels. That is part of a broad pattern. Sapphire Energy Inc. has received more than $100 million from the Obama administration, but it decided over the past two years to shift its focus toward nutritional supplements like Omega-3, a fatty acid that derives from algae. An Energy Department spokesman says the administration often gave money to companies to demonstrate technologies in pilot projects, which are by definition not designed to run indefinitely and instead only prove technologies can work. Much of the technology was proven to work, but companies are not using the technology commercially to make biofuels. Amyris received nearly $25 million in an Energy Department grant in 2009 for a biofuels demonstration project, at a time when the firm had recently recruited John Melo, a former BP executive, to ramp up the company’s biofuels business. The demonstration project ended in 2013, and today Mr. Melo, the CEO, spends most of his time on anything but fuels, focusing instead on products like fragrances and tire adhesives. Last year, about one-third of Amyris’s business was related to fuels; today it is 20%, and by next year Mr. Melo predicts it will be 5%. Tornadoes, Storms Sweep Across Southern U.S.
Could the Kaatsu Workout Be the Most Efficient Exercise? When Mr. Trump says our leaders are stupid, here is another example of that. The US government operates as some sort of wild eyed gigantic venture capitalist who actual doesn't have any money, nor the expertise to properly deploy money. The precious dollars are harvested from the future and then deployed with no expectation of a return on the investment. In the end the fiscal hole has only been dug deeper. Look at the national debt. If costs were under control and a vibrant US economy was throwing off large amounts of cash surpluses, I could better swallow this reckless nonsense. You are getting a bit lost here I think, and I am sorry if I have been unclear. We develop large plantations on barren land like top end of Australia or in the Sahara desert. At these we grow plants like sorghum/Adx and get 100 - 150 tons per hectare per year. It is fully automated process, irrigated and with transport system to take the biomass to processing. It cost all up 20 a ton delivered processing. Size: One cattle station in Australia is over 1 million hectares, that gives 100 - 150 million tons biomass per year, and 750 000 barrel a day of fuel - market is about 60 million. However there are many cattle stations available and lots of land other places. My cost are cost, no tax and based on 1 million tons biomass per year or 10 000 hectares. 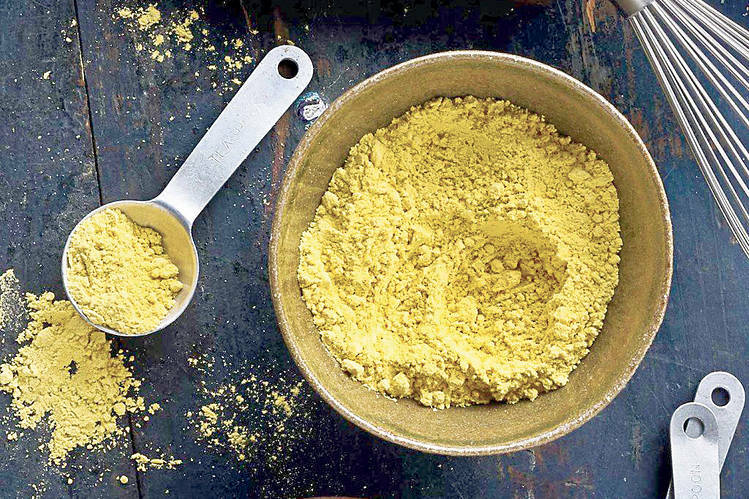 "Under its AlgaVia brand, Solazyme also makes what it calls “whole algae flour,” a light, yellow powder designed to replace less-healthful ingredients like butter, oils and egg yolks in recipes." What fools! Jumping from one bad idea to another, just when butter, oils and egg yolks are increasing rehabilitated as the most healthful ingredients. n biofuel companies, which are playing up their new algae- and yeast-based products as natural and healthful consumer products. Nothing theoretical about our numbers, all well tested and can be documented. Our gasoline can be sold with tax free status in the EU - users doesn't pay the same tax as for other gasoline,. This is worth about 150 a barrel alone, or 3.50 a gallon, so you are a bit low on your 2.50 price. There are lots of barren land around as well, have a look at our blog site, there are a few blogs about that point as well. As I said, have at it. Good luck. It does seem unlikely that your product has a large market share or that there is sufficient raw material for it to attain a large market share, unless you try mining landfills or sewage plant inputs, which I'd love to see. What seems implausible to me in your economics is that you contend you gather three tons of organic matter from barren land and convert it to a synthetic crude for $60. So you are cutting grass or harvesting tumbleweeds or otherwise gathering low density organic matter from a relatively large geographic footprint, transporting it to your plant, shredding it or otherwise mechanically processing it, digesting it with heat and chemicals to convert it to a liquid, all for $20/ton. And you get the equivalent energy to a tonne of crude, which is around ten barrels. If you are subtracting the $3.50 avoided excise tax, your numbers make sense, but do not accurately reflect cost. With the exception of Apple and a limited number of high-tech companies, it's exceedingly rare for a product of substance to come from either CA or the Northeast quadrant of the USA. It's unfortunate the Iowa farmers have lost their spine and jumped on the government dole, too. Hence, it's good and just to see the CA biofuels companies, and the Californians they employ, flounder when the realities of free markets and capitalism ultimately prevail. Maybe they can all make a socialistic move to Cuba and relieve us of the burden they force on the rest of us since they're incapable of supporting themselves. @Rod Schulz Capitalism means destroying breathable air, drinkable and potable water? I missed that in Wealth of Nations. What page is it on? How do you have national security without those? Thanks to phony capitalists like you, the lethal costs of fossil fuels are "socialized" onto the taxpayers. @John Casper @Rod Schulz The lethal costs of fossil fuels are a myth. Air in the US is cleaner than in the European Union, which is socialized, and much cleaner than in Russia, which is ruled by autocrats and even cleaner than in China, which is ostensibly ruled by communists. Capitalism coupled with democracy beats socialism and communism. Hands down. Fossil fuels have made us wealthy, and a vibrant economy is necessary to provide for national security. I'll bet Progressives love algae ice cream. No way. Nothing is compared to the health benefits such as very good olive oil made in Italy or Greece. Just another money making gimmick in fooling people it's healthy, and in 10 years kids will be born with one eye or 1/4 of a brain and say it's a mutation of autism or something. The factors undermining these companies' inabilities to compete in the energy markets likely foreshadow a coming realization that other renewable technologies can't compete in a low hydrocarbon-price environment either. The result will likely be a push to continue subsidies for renewables, plus the institution of new carbon taxes. However, neither will likely be enough to boost renewables' share of energy produced in the U.S. to levels envisioned by their proponents. Most US ethanol is made from corn and requires substantial water, fertilizer and pesticides. Nitrogen flows into the Gulf of Mexico and created a dead zone due to hypoxia. Distilling it requires much electricity, most of which comes from coal. Congress decreased the mandate because the required amount of ethanol didn't exist. Not enough distillers wanted to make it. The mandate is still greater than the amount of ethanol available on the market. It's another jobs program brought to you by lobbiests for business owners who want your money. It is also subsidized by gasoline taxes, so you get to pay for it twice. But the distillers, farmers and blenders thank you for your cash. @Dom Fried And most ethanol has NEGATIVE return on energy -- i.e. end-to-end it takes more resources/ energy to produce than there is energy in the ethanol. These projects are almost always white-coat welfare. Where else would all the PhDs work at 'challenging' science-fair projects. 99% waste of tax money. @Dom Fried You are mostly correct, but the mandate was reduced because there is not enough gasoline to put the mandated alcohol in without exceeding the 10% blend, beyond which most engines are not warranted for by manufacturers. Smart business. If and when petroleum energy prices make it viable to move back into the biofuels space, they'll be ready. @Fred Smith Agree. A gallon of generic corn oil costs about $8. A gallon of specialty olive oil in small bottles costs about $275 per gallon. With good marketing, they should be able to sell their specialty product for the $220 per gallon they are charging. When they get down to $8/gallon they can compete with corn oil and when they get to $2/gallon in cost, they can compete with gasoline and diesel. What makes zero sense is for the military to be buying biodiesel at $275/gallon. The first handheld calculators cost $4500 in today's dollars in the early 1970's and were sold to early adopters (those with more money than sense). Today they have a free market price of $10-50, with better features. If the government had seen the urgent need to financially support the nascent industry, a hand held calculator would cost $9000 today. Necessity is the mother of invention. Government subsidies shield cronies from figuring out how to make sufficient profit to stay in business. Yum. It's a floor wax and a dessert topping! There is some vry interesting technology being developed. The Fed govt began providing oil companies subsidies for fracking as early as 1970s, it did not take off then because it was too expensive. Over time with technology and policy innovation fracking became profitable, but it did not happen in ten years, it took about 40 years. Same with Cell Phone, Internet, GPS, etc.....government/private sector partnerships is the genesis of most of our main stream highly valued products and services today. This is what makes America Great. This is why we are called the "United" States of America. There are something's that we absolutely need to do together. We learn and succeed from our failures. Many oil and natural gas independent producers may go out of business due to the turn in market conditions in the oil industry. Many in the industry saw the debt bubble growing in China and emerging markets, but oil and natural gas industry board rooms ramped up debt and capital budgets, based on govt. subsidized 0% interest rates. Feel me! @Carlton Buford The small, overextended independent producers will get bought out by the bigger boys and pay back most of what they borrowed, and the ones who managed to not get in over their heads will hang on until prices recover. Commodity prices have always been cyclical, and this volatility is not much different from when oil prices dropped from $50 per barrel to $15. The oil patch took a hit, but the economy roared in the rest of the country. The only reason the economy is not roaring today is because of increased regulations and the uncertainty of additional punitive regulations. @ESTELLE BRENNAN @Carlton Buford Its OK for oil industry to misallocate capital on the order of $100s Billion and write if off to volatility, but newer industries, like renewables, cannot make mistakes or be subject to market volatilities like the oil industry was allowed to do over the last 100 years with ample government subsidies and market support. Over the course of US economic history, the private sector and the government have worked together as economic market makers, creating industries that we need, that the market by itself could not initially support. The primary reason economy is not roaring is because of Private Sector Debt and Capital Allocation abuses which have grown to $50 Trillion to date, triple public debt and is the primary reason interest rates have had to remain near 0% since 2008. If interest rates were normalized to 5% - 8%, asset prices would collapse, 0% fixed interest rates for 8 years was a socialist program to protect investor wealth on tax payer dime. @Carlton Buford @ESTELLE BRENNAN Although I agree with some of your conclusions, I'm having some problem following your logic. If interest rates rise, stock market values will decline, because people have bid up stock prices to get a dividend of a few percent. If they could get a safer 5-8% return at a bank, there would be a selloff of stocks and prices would decline in accordance to the laws of supply demand. None of that would affect the book value of the stock issuers or result in a collapse of assets. There are asset allocation abuses, but those take place when the government gives credits to the wind and solar energy to encourage them to invest in uneconomic ventures. Also, when the government says to individuals that the only debt that is deductible is house debt, it tends to drive up real estate prices and encourage overinvestment there. You would be hard pressed to say that the conventional energy businesses are getting money to induce them to overinvest in fossil fuels. Hmmmm. As someone who cooks a lot, I'd be willing to try the oil based on nutrition offering. The protein powders, though, do not interest me. We tried them as a replacement for breakfast and found we were hungry an hour later. I'll keep picking up my monthly basket at my local CSA - pasture raised beef, pork, lamb and fowl. Mmmmmmm. If these bio-fuels are going to be food offerings now, let the FDA step in and stop the green energy subsidies already! So, rather than try to sell oil from algae as a fuel, for maybe $60 - $100 a barrel (55 gallons) they can sell it as cooking oil that retails for $11.99 for 16.9 oz, or $4,968.00 per barrel equivalent. I think selling the yeast by-product is even more profitable. Hmm, I think I will look at that stock this morning. There are 42 gallons in a barrel of oil. A drum is 55 gallons, standard container to sell oil (lubricants usually) in. Wow, the "green energy" crony capitalists are just waking up to the fact that biofuels can't survive without bigger and bigger subsidies? Oil and natural gas have always gone from boom to bust and biofuels are just not competitive without subsidies in the boom cycle and clearly a pipedream in the bust cycle..
Code: Biofuels are a bust and we are scrambling to survive. The author is mixing issues regarding bio diesel and ethanol. While both carry some environmental and other less direct benefits, ethanol currently brings 20-30 cents per gallon fuel savings to the consumer. This 20-30 cents savings comes at a cost of about 2.5 cents for the loss of thermal energy and resulting fuel mileage. With a shift to E15, fuel costs would drop further as a lower octane stock gasoline could be used. Naturally the oil industry is lobbying hard against introducing more E15 into the market not wanting to lose another 5% of their market. @Mark Richardson Ethanol provides no fuel savings, the only thing keeping this industry alive are the tax brakes provided by the taxpayers. In the free market this product would have died long ago. Find some gasoline without ethanol and report back how much more it cost than E10. @Mark Richardson If I don't use 91, my car don't run. @Mark Richardson You left out the added cost to food, since ethanol (corn farming) is competing for farming resources for food production. @Mark Richardson Diverting arable land to corn for ethanol drives up food costs. It's already a worldwide problem and adopting E15 would exacerbate the problem. Not everyone drives; but everyone eats. Producing it uses more energy than burning it produces. So, on a macro level, no amount of number gyrating can legitimately say it saves money. That's akin to the financial engineers saying they could transform sub-prime mortgages into AAA rated securities. That fallacy was exposed in 2007-2008. Also, E15 is devastating for small engines: lawnmowers, snow blowers, chainsaws, weed whackers, leaf blowers, boat motors, and personal watercraft engines. No so good for car engines, either. All in all, ethanol is a disaster that E15 would make worse. Energy ratio is about 1.7 btus of energy from ethanol produced for each btu in. Most of the energy of an ethanol plant comes from abundant 100% domestic natural gas while 25% of the electricity in corn states like Iowa and Kansas comes from wind-- again domestic sources and not from our non-friends who import us oil in other words, the Middle East. Corn price today is below production costs, thus far less corn will be available not because of ethanol, but because of much less planted due to the low price. I have everything you mentioned other than a boat and have had no problem other than changing the fuel line hoses on my 12 year old chain saw that cost me $2.50. they turn to other gambits to make profits by the heap. cooking oil from grasses for your yuletide frying feast. how the hell with global warming is this any help? I think I'd rather diet or perform a round of fasts. I will be the first to sample with my swizzle sticks! Trees are options, but they can't grow in the harshest places, they often grow slow and when processing wood we get more coal replacement than transport sector fuels: diesel, jet, ethanol. It is an option, but normally not a good one. Faster growing plants also use more CO2. Howard, please have a look at the bog section, I think you might like that better? Energy holes, 30 years in oil, I hope I understand most of it. The Soylent Green problem is solved. We create more than enough energy resources with barren land biomass fuel. There is enough for all energy we need for more than 10 billion in population with US consumption levels, and than some All this energy will also enable us to meet all other resource shortages we might face, if any. And all at lower than today's energy prices. It also looks like the world population growth is slowing, maybe so much that we will never get to 10 billion anyway? No it is only a question of redirecting capital to higher efficiency than where it currently is used. @Hans Olav Bjornenak Hans - I looked at your web-site ... not counting out Soylent Green. The energy use holes in what your site puts up do not inspire confidence. Best of luck to you! Glad to see that someone has finally started working on Soylent Green. If we don't make it, then who will? @Howard Lewis Please don't give the government any more recycling ideas. While they're eating strawberries we'll be eating some sort of green FDA approved mystery meat. @Elena Thorson @Howard Lewis Elena - It's a joke, but it only works if you know what Soylent Green is. Google it. @Howard Lewis @Elena Thorson It's people! Barren land: Sahara Desert and the barren lands of top end Australia are both examples on what we mean with barren land, land not suitable for traditional agriculture and where we increase the CO2 uptake 5 fold - not where there are lots of plant already. As to water, there are quite a bit in both the two areas above, but under ground and of sometime low quality, however water can also be cheaply produced as part of processing since the purity requirements are less than for human consumption. And this ladies and gentleman is what the 21st century looks like, lead by fools supported by bad "science" based on manipulated data, too control our lives.. Today's "climate change" experts or yesterdays "rain makers". Charlatans all. @Anthony Swenson There is definitely a Ben & Jerry's algaebased flavor joke here. It costs us 60 dolars to produce 3 tons of biomass equivalent to 1 ton crude oil in energy terms, 150 dollars to refine them in to 8 barrels of transport sector fuels, or just over 26 a barrel. It is CO2 negative since we create new demand for CO2 and replace/stop fossil CO2 from entering. A real solution in other words. @Hans Olav Bjornenak Only a couple of wee problems: There's no such thing as "barren land". We call all that land that's not under the plow " wildlife habitat". It also supports sometimes rare native plants. Putting more land under the plow has consequences. Then, I don't care what you grow, it takes water, which is an increasingly scarce commodity. @Anthony Swenson @Hans Olav Bjornenak May be where you live, and not globally. If you think otherwise cite a source. "But this web, while strong when intact, becomes more vulnerable with each thread that’s broken. Desert vegetation grows painfully slowly, and once disturbed, can take centuries to recover. And because the ecosystems desert animals depend upon are so fragile, entire populations are easily wiped out. With human impacts on deserts increasing exponentially — especially in the American Southwest, which contains some of the country’s fastest-growing cities — wildlife that has lived there for thousands of years is in danger of dying out due to threats like urban sprawl, cattle grazing, mining, dam building, and off-road vehicle use." Read the whole thing. "Barren lands" are not barren, but they are incredibly fragile. @Hans Olav Bjornenak Kanskje vi kan bare plante noen trær? @Elena Thorson @Hans Olav Bjornenak I was curious, so looked up the translation from Norweigan: "Maybe we can just plant some trees". @Hans Olav Bjornenak Have add it. If you can produce a gasoline equivalent for under $0.50 and charge $1.00 per gallon, you will make a fortune. With the proper marketing, you could sell it for $2.50 per gallon, a premium to gasoline prices. One suspects that your numbers are theoretical, and will end as soon as you consume all of the barren land biomass, thus it's not a sustainable source of energy. But give it your best shot.